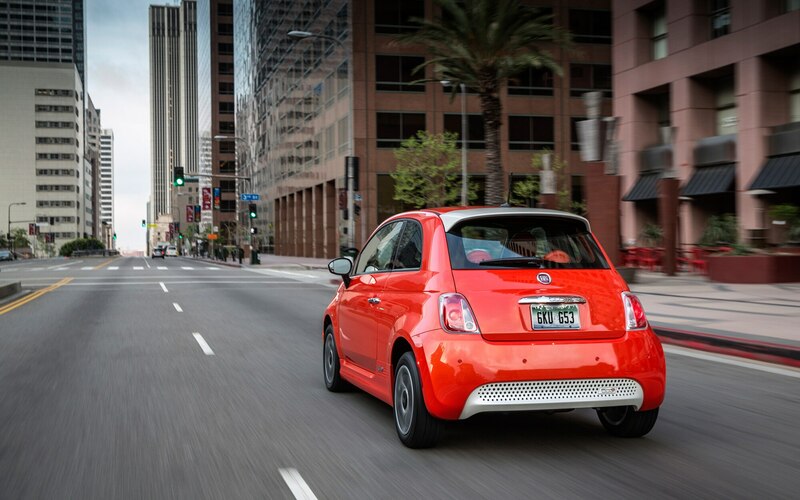 The 2013 Fiat 500e is what’s called a compliance car—meaning that California requires any volume automaker doing business in the state to offer an electric model. 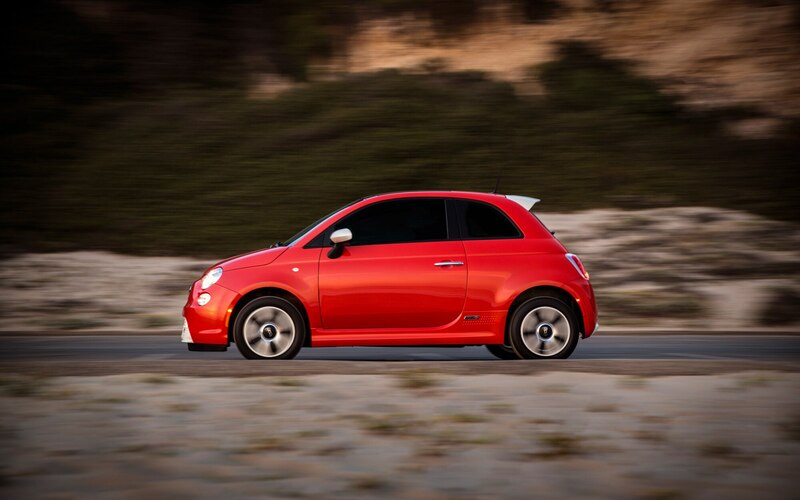 This is Chrysler’s, and it will be sold only in California, although other states may be added later. 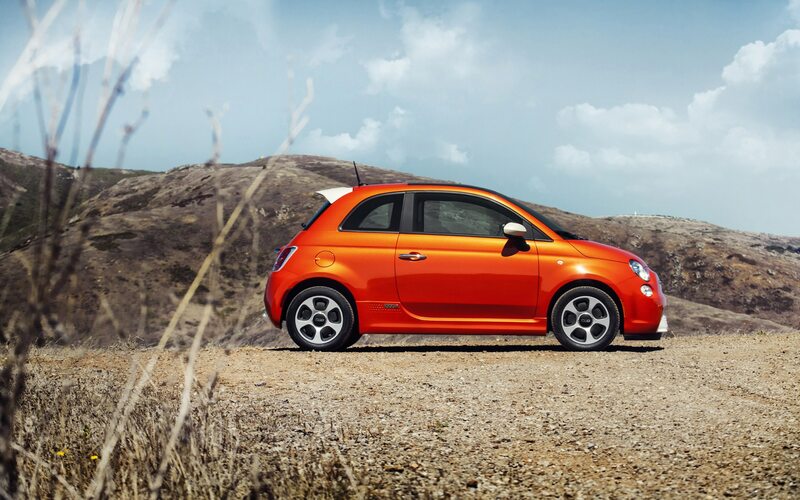 It’s better for Chrysler if it sells more EVs rather than fewer, but EVs appeal to tech-oriented early adopters and the 500e isn’t early to market. 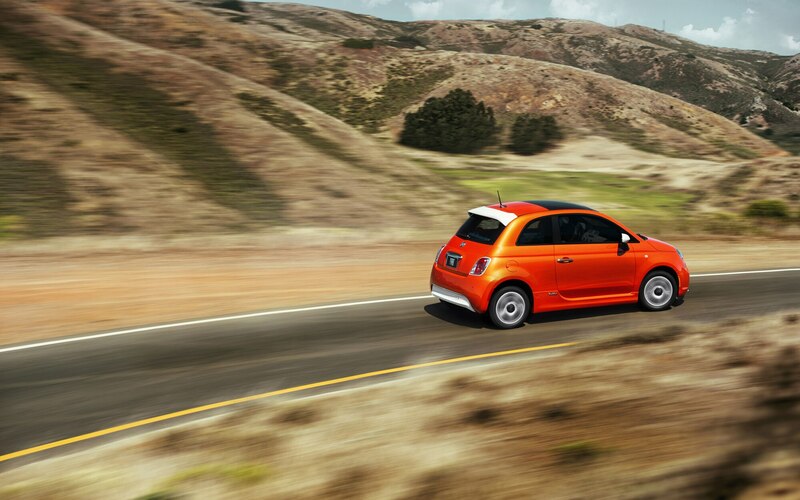 It trails the Ford Focus EV, the Honda Fit EV, the Nissan Leaf, and the Mini E, not to mention the Tesla. 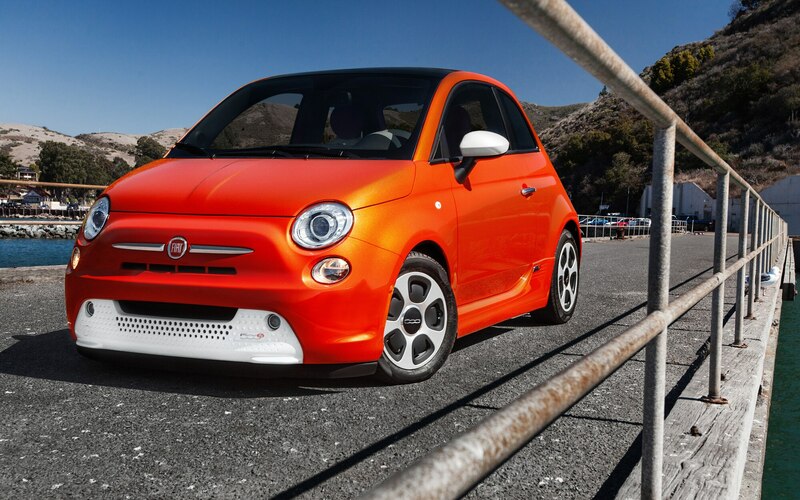 Early adopters probably already have an EV. 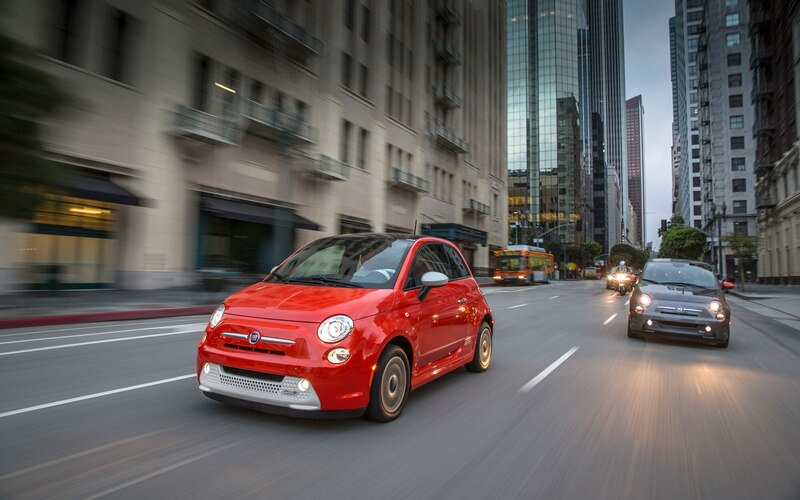 So Fiat is trying to make the 500e more accessible to normal people, mostly by pricing it aggressively. 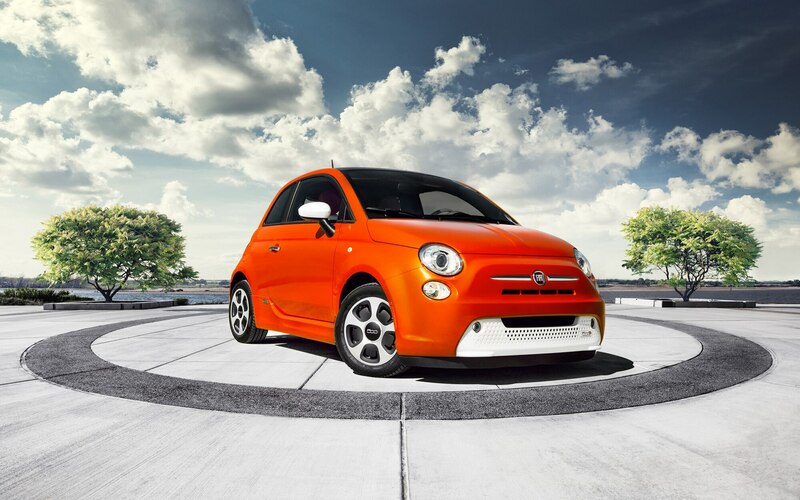 Offered in a single trim level that’s based on the 500 Lounge, the 500e stickers for $32,500, but $10,000 in federal and state tax credits, plus a $2000 factory rebate, knock that down to $20,500—virtually the same as the Lounge with an automatic transmission and navigation. 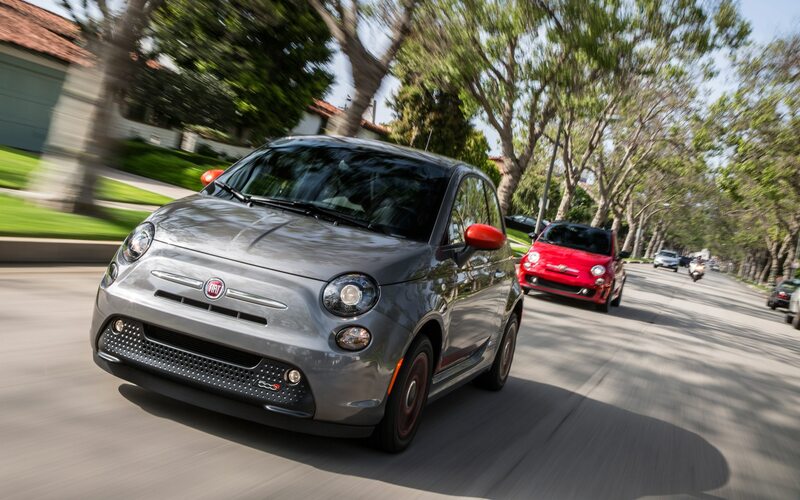 Fiat is also offering a $999 down, $199/month lease for 36 months with 15,000 miles per year, which puts the 500e at the same lease price as a $16,500-base Fiat 500 Pop. Certain California municipalities and some employers may offer further credits or rebates. Note, however, that those prices do not include the 240-volt, level-two charger (roughly $2000 installed), which cuts the time for a full recharge from twenty-four hours down to four. 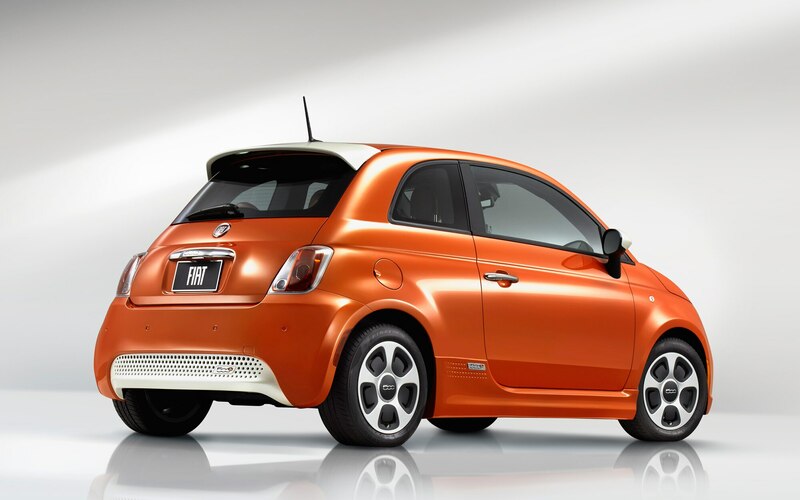 Of course, the number-one issue with any EV is range, and the 500e boasts a best-in-class EPA figure of 87 miles (city/highway combined), although Fiat says that regenerative braking could help many drivers see 100 miles or better. 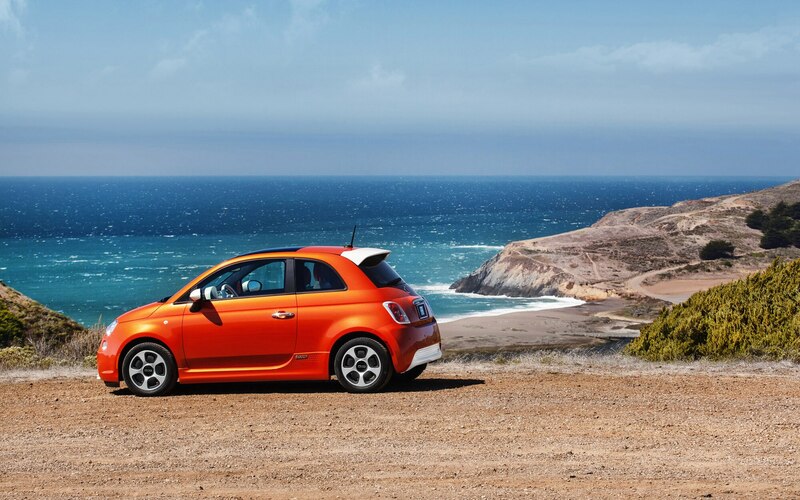 For trips when that’s not enough, Fiat has worked a deal with Enterprise Rent-A-Car to provide 500e owners with credit for one free rental-car day per month for thirty-six months. 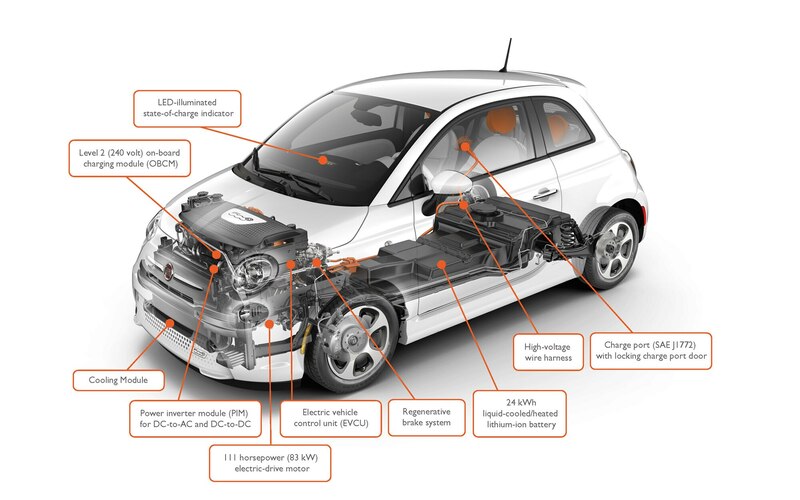 An 8-year/100,000-mile battery warranty is a further effort to assuage EV-buyer anxiety. 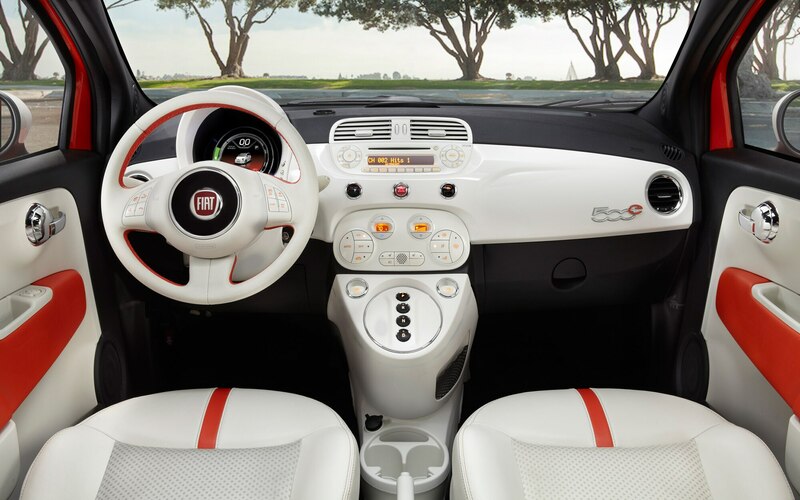 Fiat has made its dash-top TomTom navigation system standard here, and it includes additional EV-specific functions such as the location of charging stations and the ability to advise whether destinations are within the current range. A 500e smartphone app (for iPhone and Android) allows you to send destinations to the nav system, to turn on the climate control, or to check on the progress of a recharging car. 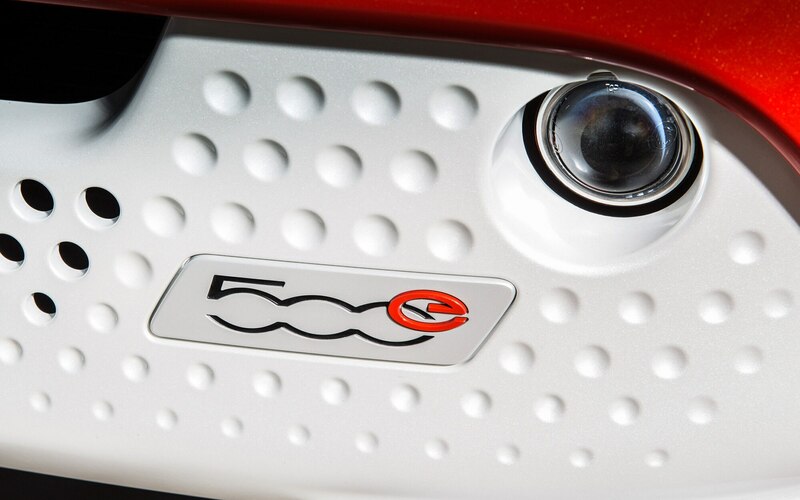 There’s also a 5-LED battery-level indicator on the top of the dashboard. 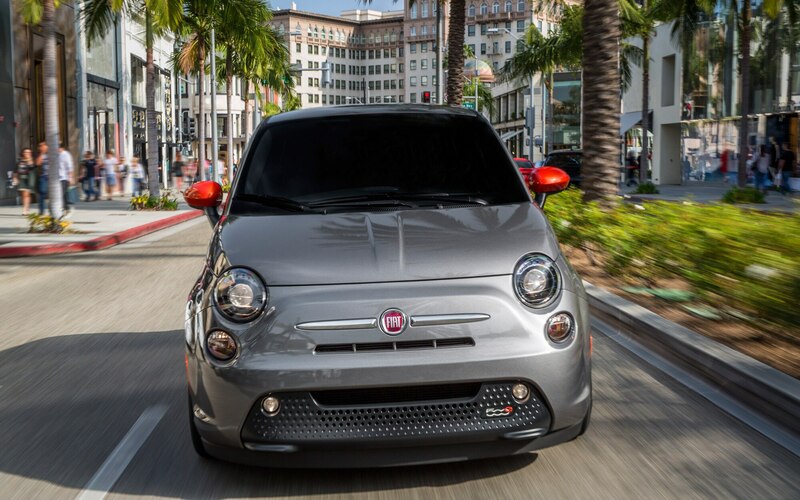 Of course, the primary range indicator is in the EV-specific, TFT-screen instrument cluster, and when we set out in Beverly Hills for a drive with a fully charged battery, our 500e indicated a range of 91 miles. As we crept along in traffic on La Cienega and then on Sunset, that number began to dwindle. After only 6 miles of driving we were down to 61 miles of indicated range. Strangely, once we got out of the traffic and into the canyons, going up and down hills, the battery seemed happier, and the next 15 miles of driving used only 6 miles of predicted range. Another leg of canyon road driving mixed with some better-moving urban traffic subtracted only 5 miles of indicated range over 27 actual miles. Clearly, predicting range is a highly imperfect science. 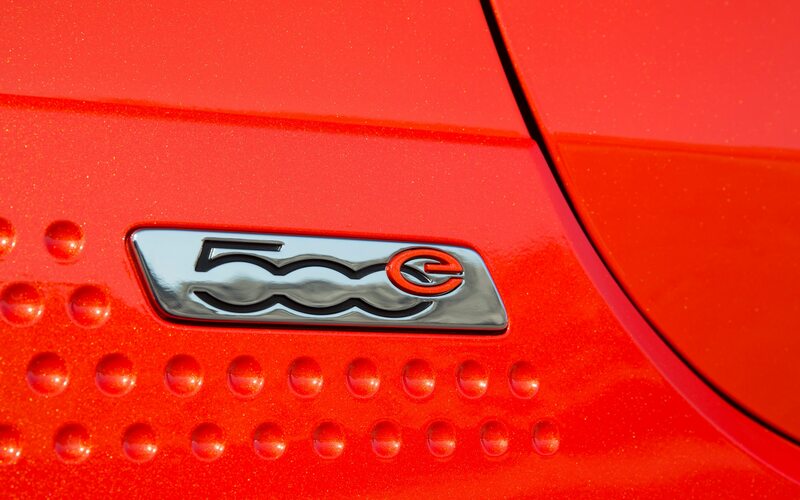 The engineers had more success in their attempt to make the 500 EV drive like a normal car. 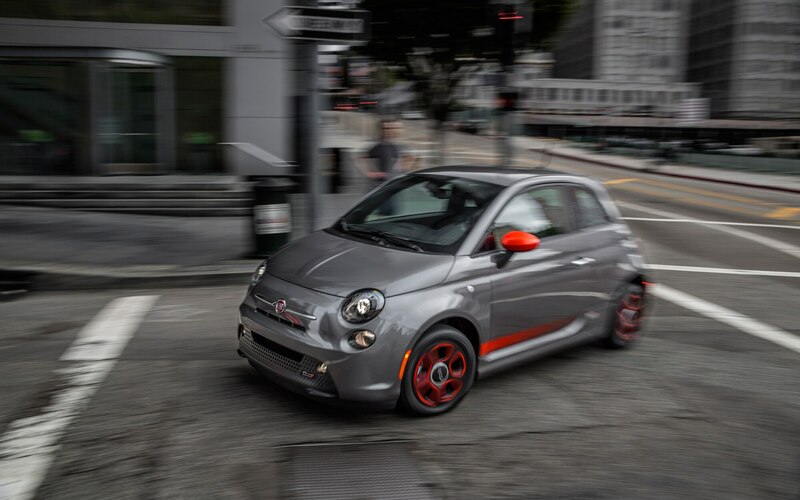 The 111-hp electric motor, which makes 147-pound-feet of torque, squirts the 500e through city traffic and feels quicker than its claimed 9.1-second 0-60 time. 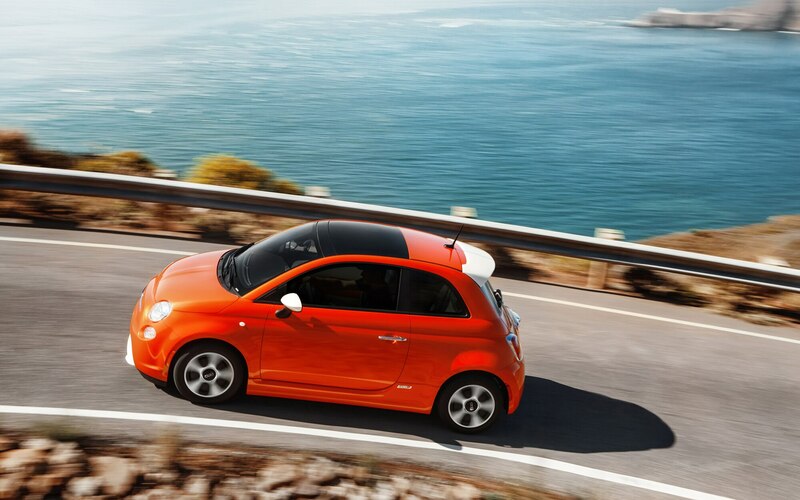 Even on the highway at speeds up to 65 mph or so, the electric Fiat has enough power on reserve to scoot around slower cars. And when you lift off the throttle, it doesn’t feel like you’ve suddenly dropped an anchor. 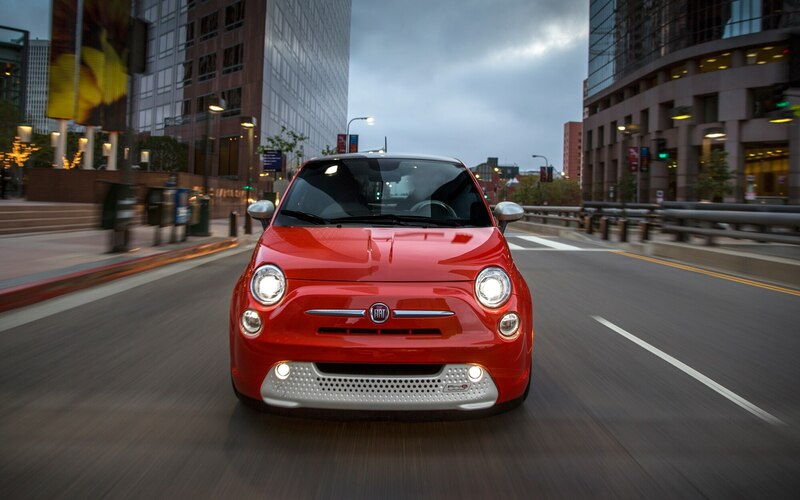 The whir of the electric motor is your near-constant companion, however. 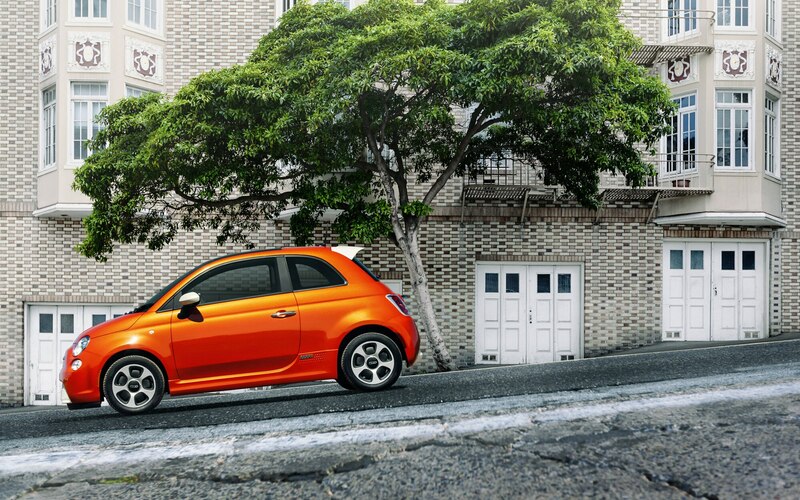 Unlike some EVs—or hybrids—the 500e’s regenerative brakes are particularly easy to modulate, and the electrically assisted steering has decent weight and feel. 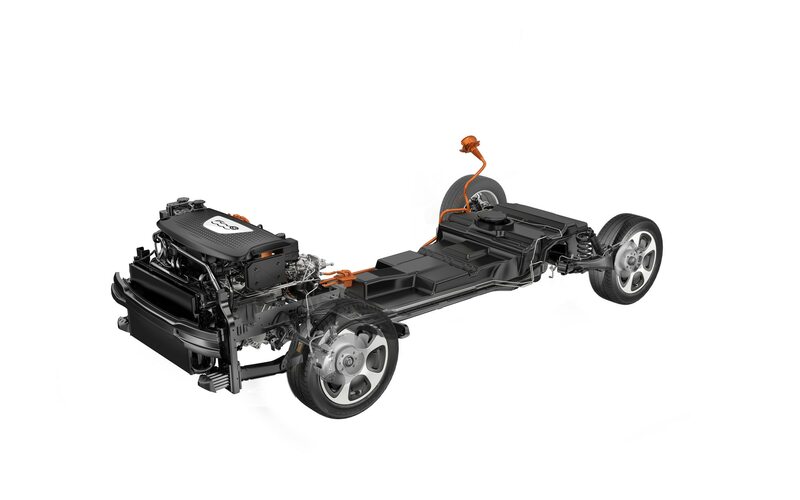 The battery pack is sandwiched beneath the floor toward the rear of the car, so its 600 extra pounds are, at least, ideally located; they nudge the front/rear weight distribution significantly rearward, from 63/37 to 53/47 percent. Combined with a firmer spring and damper setup, the weight balance helps keep the heavier 500 from feeling clumsy in the curves. 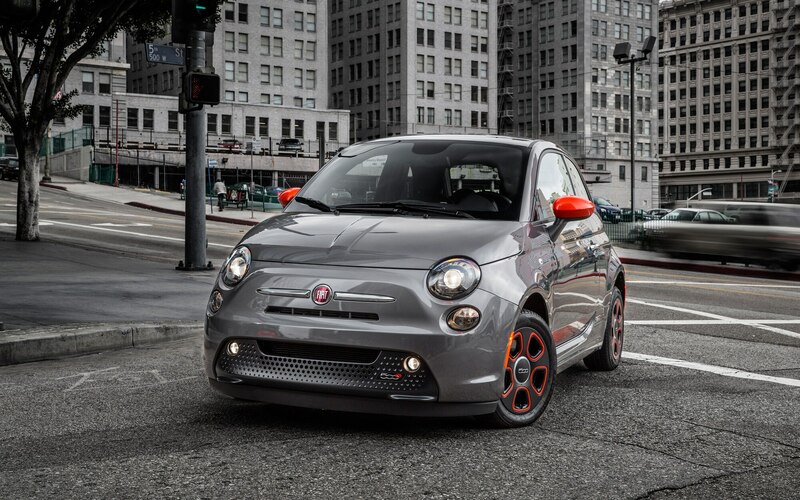 You can spot the 500e thanks to its reshaped, dot-perforated front and rear fascias (in body color, white, or black); Fiat claims this and other tweaks improve the aerodynamics by 13 percent, adding five miles to the total range. The other tweaks are unique wheels, reshaped mirror caps, restyled side sills, and a longer rear spoiler. 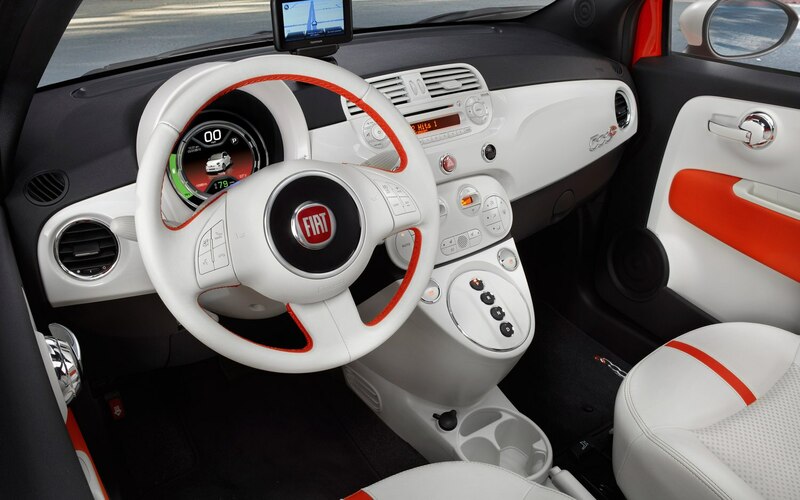 Inside, the 500e differs from its siblings with its aforementioned electronic gauge cluster, pushbutton gear selection, and orange accents on the black or white interior. The 500e may owe its existence to a government decree, but it doesn’t drive like a car that was grudgingly created to satisfy regulators. 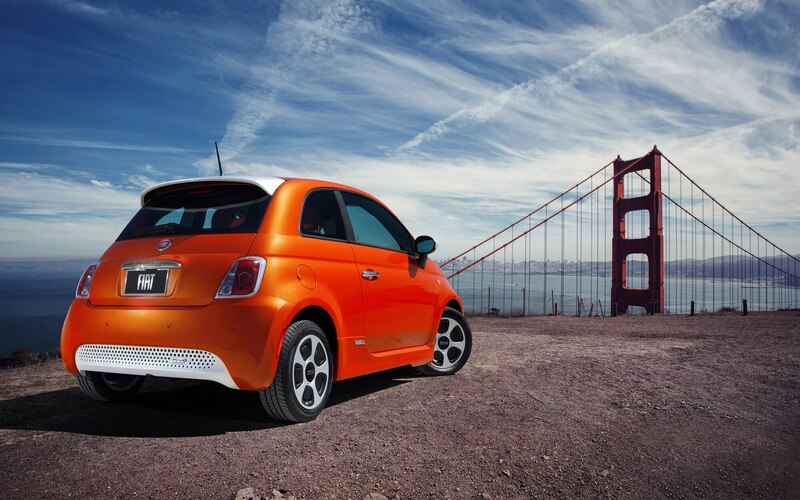 Fiat/Chrysler has done a lot to make its EV a viable choice for at least some 500 intenders—provided they live in California.